Did you know: March 10th is National Women & Girls HIV/AIDS Awareness Day (NWGHAAD)? 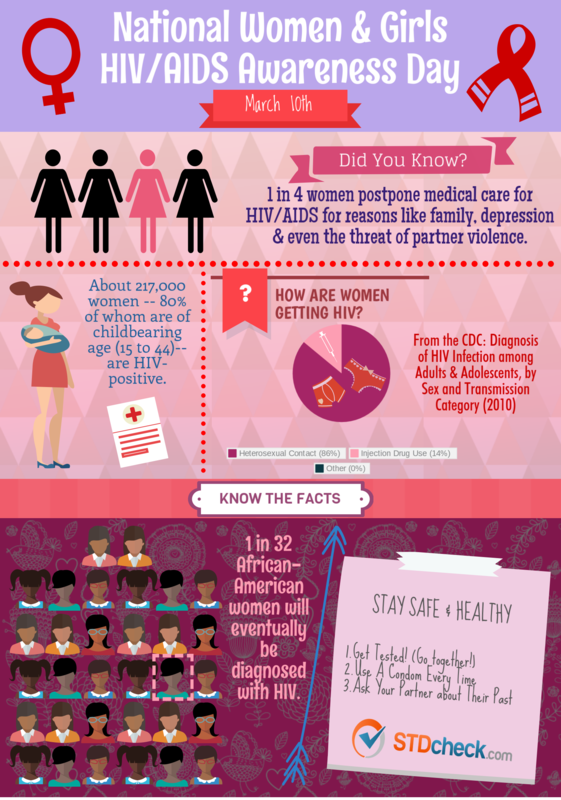 To spread awareness of HIV and AIDS, especially pertaining to women and girls, we created an infographic with statistics and facts that relate to both. Get the facts, get tested!